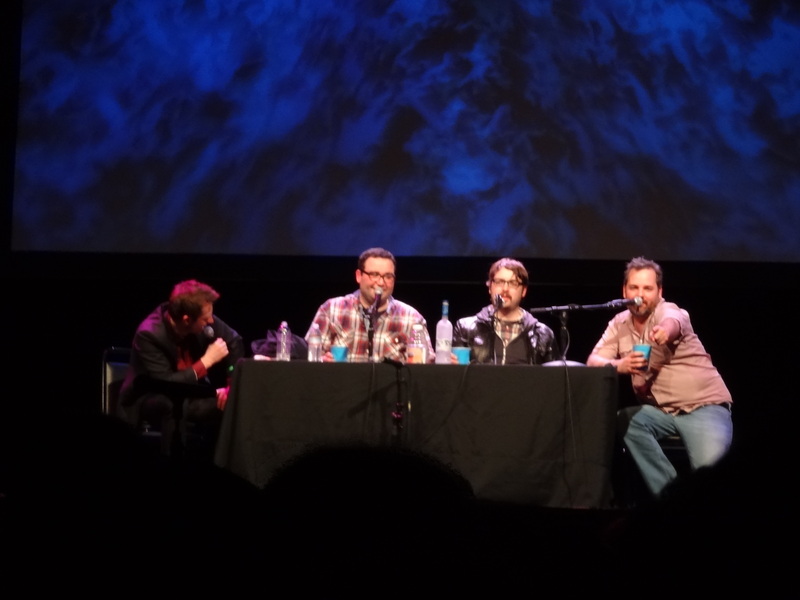 The above picture is from the live Nerdist at the SF Sketchfest. Looking back I get what Dan Harmon was doing but he just carried it on a bit beyond the point where it gets old. I know he was doing a bit but it seemed odd to make fun or your hosts. Well beyond the first hour. The second hour he did it really wore think. You can check out the episode on the Harmontown podcast. In my effort to put more philosophy into my podcast I decided to head to my favorite self-help book “The Nerdist Way.” It seems weird to start with the last topic in the book but I feel this is a great way to transition into various philosophical discussions. This week’s homework assignment is for one minuet a day you are not allowed to hate on yourself. The goal is to create a happier person. When you are happier you attract all sorts of positive things. The book is currently selling for $15.99 on Amazon. If you are interested in a copy, I have extra. I even have a few signed copies. Contact me if you are interested.